Did you see that Blue Topaz? 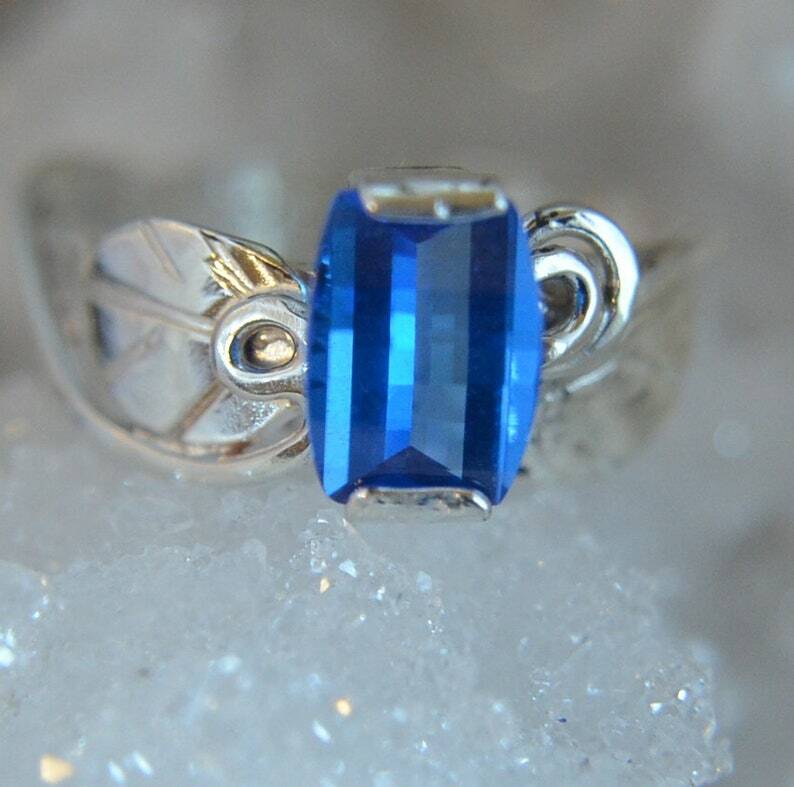 My shop is full of Topaz rings ring now and I have hundreds of gems to choose from but I couldn't resist making a band for this outstanding Blue Topaz. The color is deep and rich but it's the cut that puts this gem over the top. First, let's start with the shape. The gem is 8x6mm and is a cushion cut which means that it's rectangular but the sides curve out. Cool shape but even cooler is the type of faceting. The face of the Topaz is curved, being taller in the center and then tapering down to the ends. Along this curve are faceted steps that catch the light and throw it back to you as tiny lit squares. Very modern! The gem is 1.5 carats of color and sparkle. I was trying so hard to capture pictures of the gemstone that I'm not sure I captured the extensive silver work on the band. The sterling silver band is handmade by me, one tiny piece at a time. I know that it looks gold in some of the pictures but that's just light reflecting off of the polished silver and the dark spots are a reflection of my camera. It's raining today and I'm having to use artificial light. The band is an intricate design of curls and leaves. It is asymmetrical with a larger leaf on one side and a double curl on the other. Overall, the band is about 8mm wide to match the stone and tapers down to about 3mm on the palm side. Life is too short to wear ordinary jewelry!